The annual art bonanza is finally here! Factory ArtSpace//16-30 Stephen St.//Sept 23, performances at 2, 4, and 6 p.m.
LaThoriel Badenhausen, "It All Boils Down to This", 2014. image courtesy of Paradice Palase. Centered around women in the arts, Wise Blood will provide a window into the decades-long interdisciplinary practices of seven women. B[x] Gallery//203 Harrison Pl. 3rd floor//Sept. 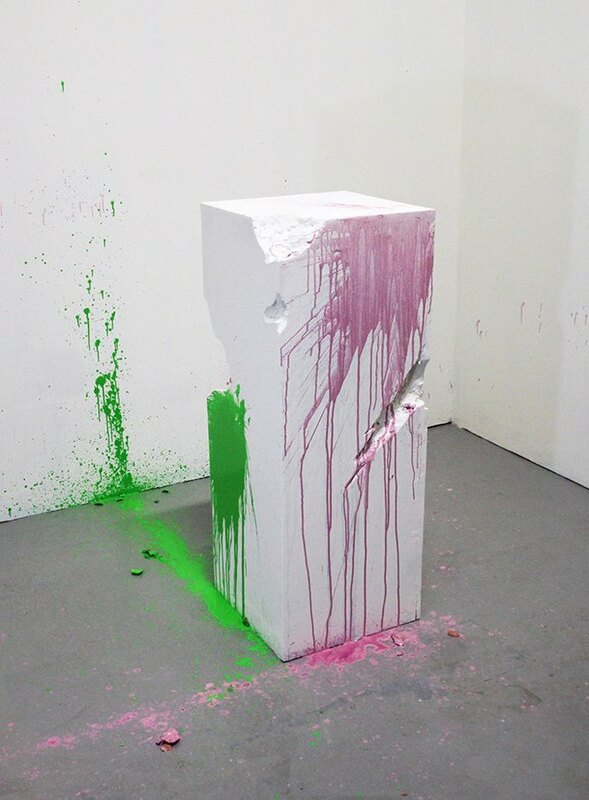 23-24 11 a.m.-7 p.m.
Sculpture by Nari Kim. 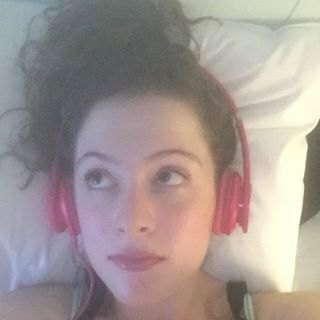 Image courtesy of Brooklyn Brush. 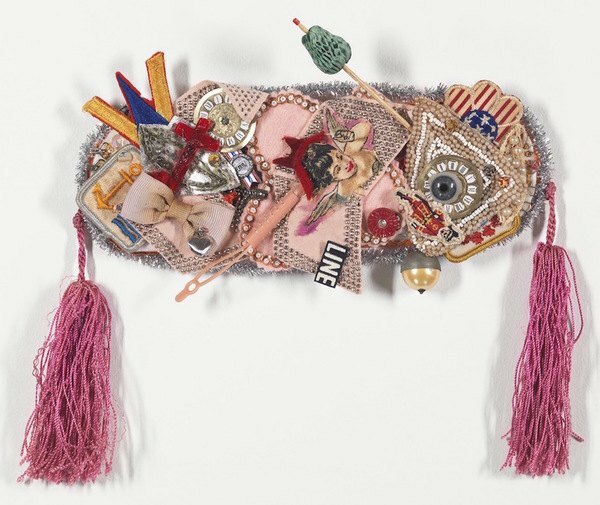 Nari Kim aims to neutralize objects by repurposing typically male objects within female-centered works. Jen Durbin presents her her ongoing, sixteen-year study on The Zapruder film as a series of sculptural meditations on Jackie O’s pink hat. David B. Frye offers a poignant series of paintings and sculptures that examine his family’s experience post-1865 and the experience of the family that owned them. Piece by Heather Ramsdale. 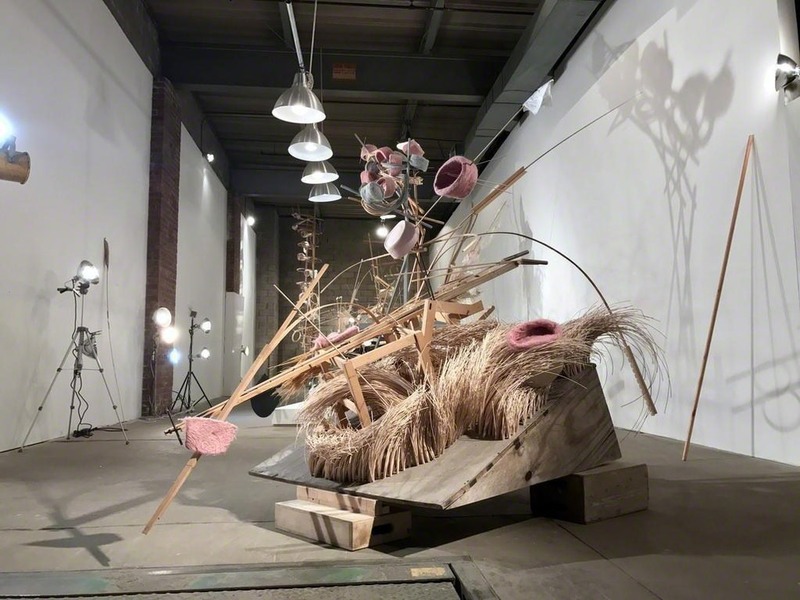 Image courtesy of Overhang Gallery. Eight artists use their practice to explore the aesthetics and sensations of nighttime. More at 119 Ingraham St. here! Featured work by Mary V Benoit. Image courtesy of Space 776. Over 40 local and international artists will present work around the theme of inclusivity. There will be an experimental sound presentation during the opening. “Echo” by Erin Harmon Joy. Image courtesy of artist. 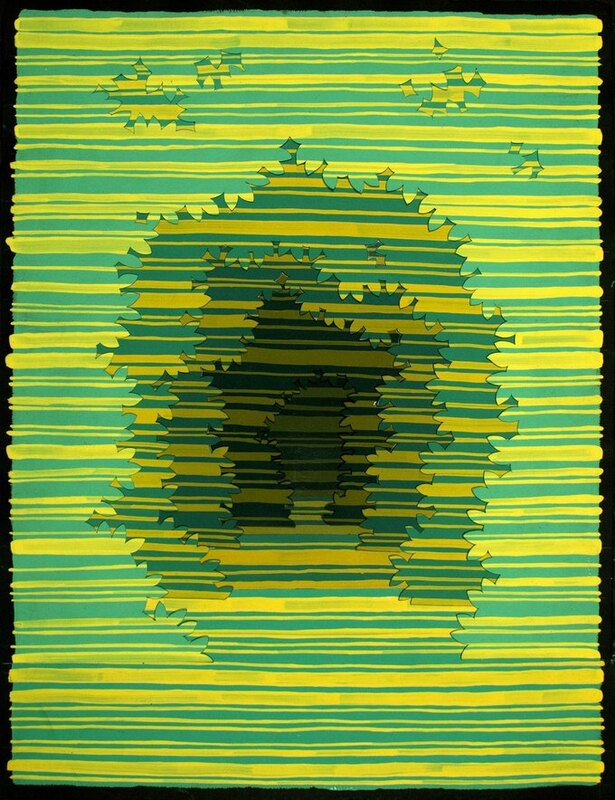 Artists craft mind-bending forms and distinct universes of their own for Open House’s debut group show. NONBINARY Studios//17-17 Troutman St., #205//Sept. 23-24 12-7 p.m. 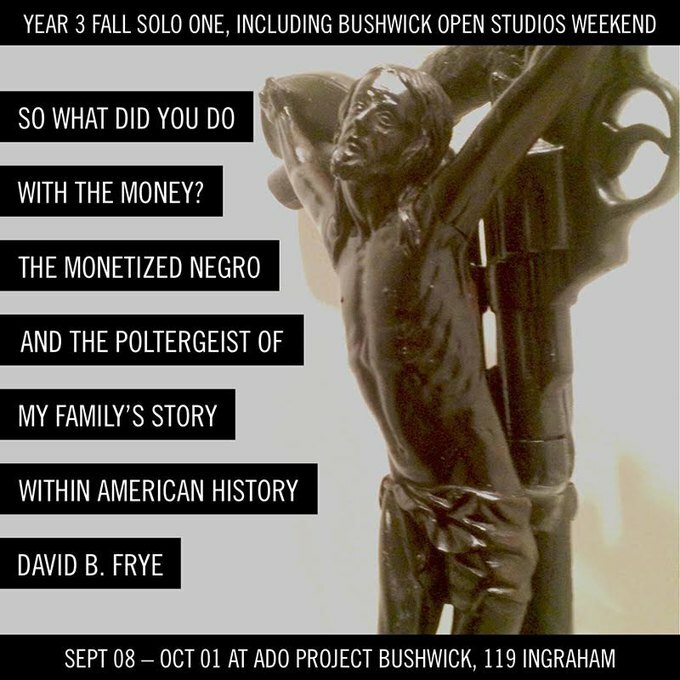 Image courtesy of Arts in Bushwick. 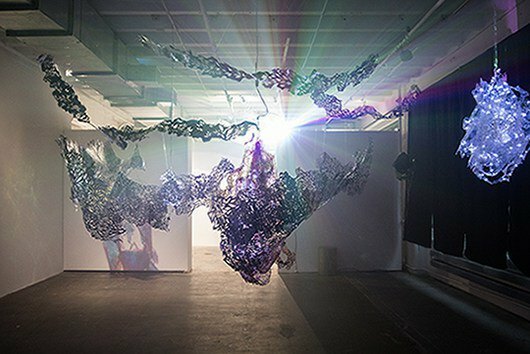 Intricate resin-based installations will be presented with video projections. A light performance will take place at 8 pm on September 24. More at 17-17 Troutman St. here! Bizarre Black Box Gallery//12 Jefferson St.//Sept. 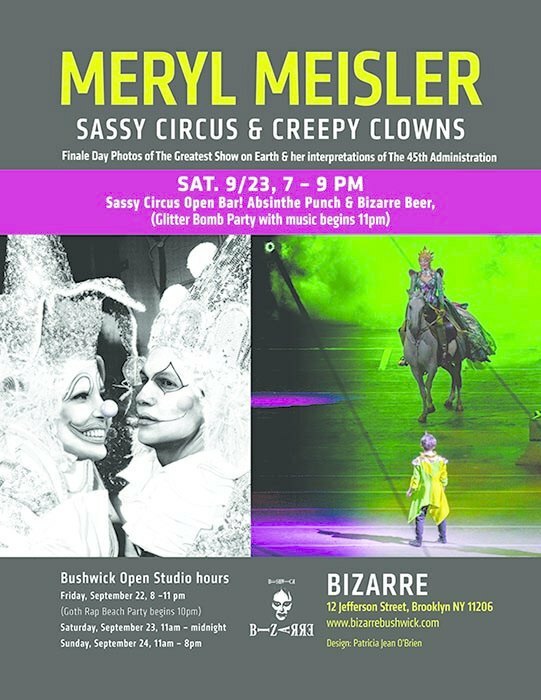 22-24 11 a.m.-11 p.m., Goth Rap Beach Party Sept. 22 at 10 p.m., Sassy Circus Open Bar Sept. 23 7-9 p.m. with music starting at 11 p.m.
Clown-enthusiast and Photographer Meryl Meisler shows photographs from The Greatest Show on Earth alongside her interpretations of the current administration. 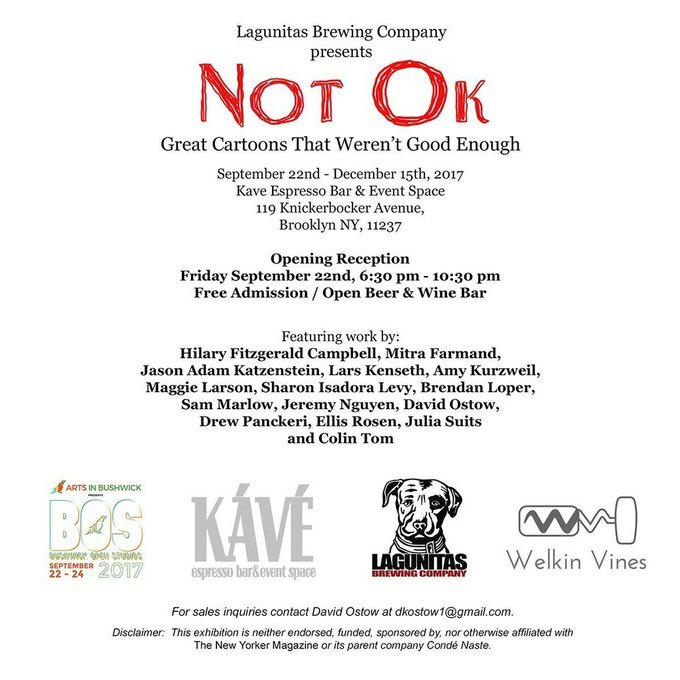 Kave Espresso Bar//119 Knickerbocker Ave.//Opening Sept. 22 6:30-10:30 p.m.
A huge group of cartoon artists will come together to show us their rejected New Yorker cartoons. You'll get to chuckle along with the artists and drink some free beer while you're at it. Wayfarers//1109 DeKalb Ave.//Opening Sept. 22 7-10 p.m. Sept. 23 and 24 11 a.m.-7 p.m. 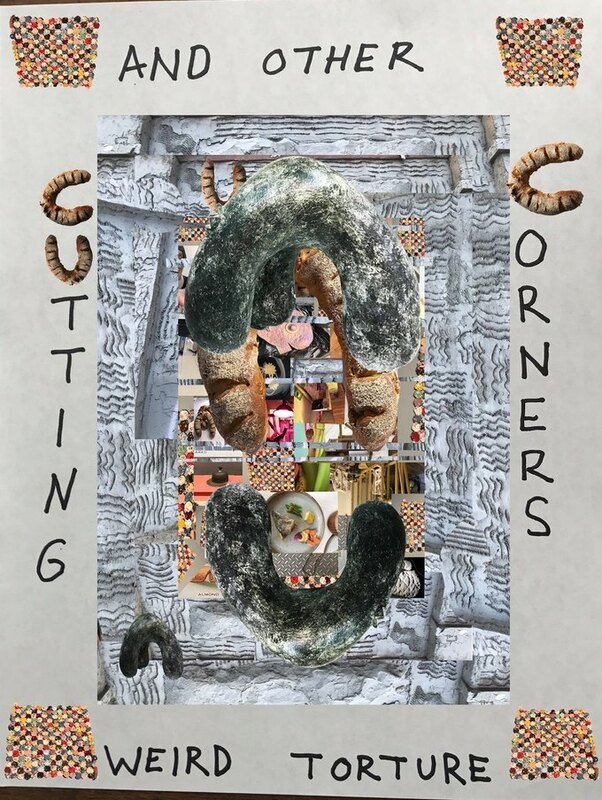 This event will feature new work by Austin-based artist Ryan Crowley. 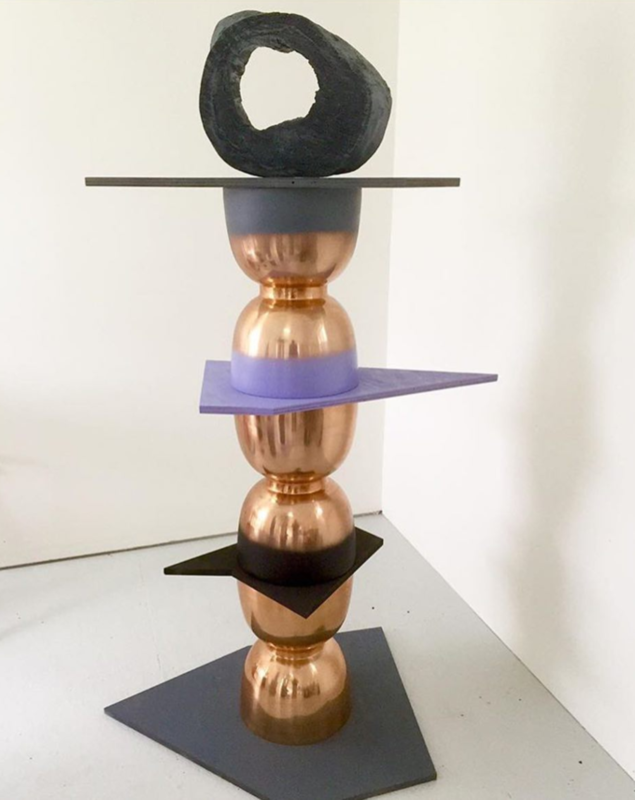 Huge sculptural pieces will take up the gallery and invite viewers to question the objects' past uses and current meanings. This party features everyone's favorite: free beer and free music. But in all seriousness, this art show inside of a motorcycle garage is not to be missed for its unique venue and embrace of the collaborative and open spirit of BOS weekend. 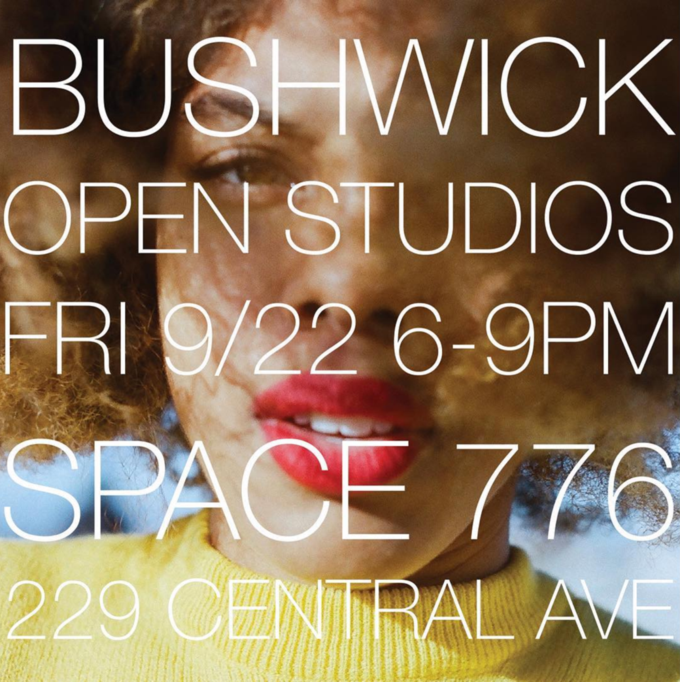 See all of the artist studios open for visitors, pop-up art shows, performances, and events on the BOS map!